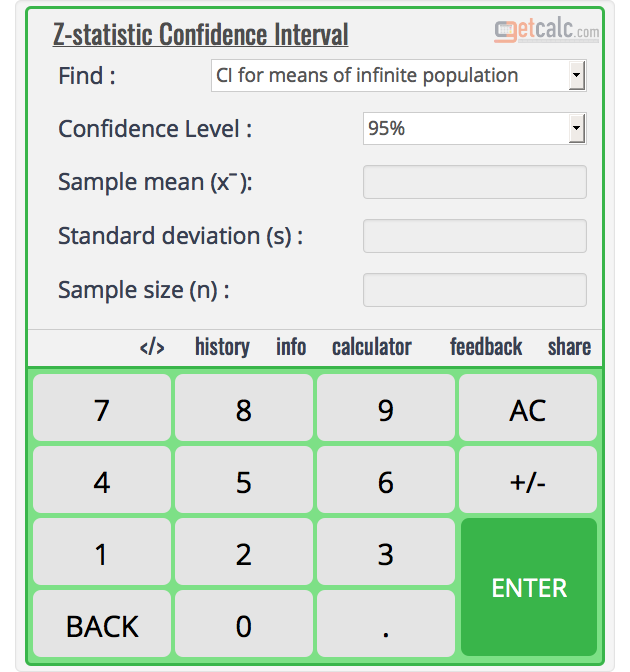 The probability of unknown parameter of population expected to lie between the confidence interval 64.9191 and 65.5809. The values 64.9191 and 65.5809 are the lower and upper limits of the confidence interval for mean of finite population estimated from sample size n = 120, mean X̄ = 65.25, standard deviation s = 1.5 population size N = 1000 & Z-score of confidence level for 99% = 2.575 to estimate the confidence interval for mean of finite population. 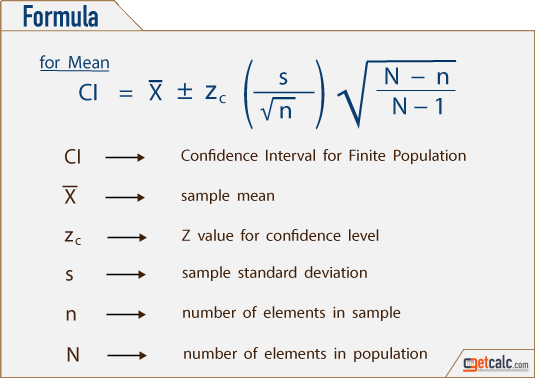 The complete work with step by step calculation for sample size n = 120, sample mean X̄ = 65.25, standard deviation s = 1.5, population size N = 1000 & Z-score for confidence level 99% = 2.575 to estimate the confidence interval for mean of finite population in statistical experiments.